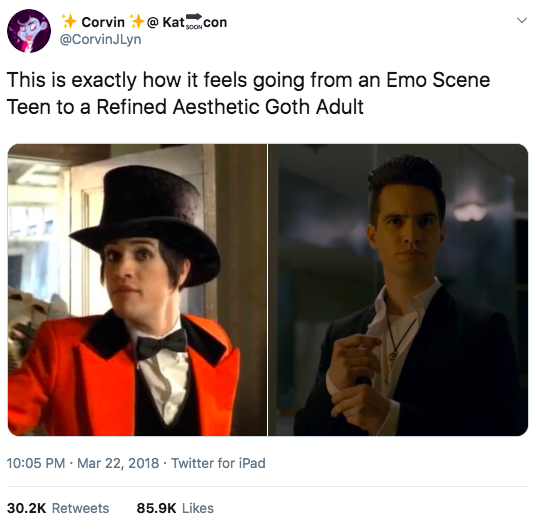 Hello, I’m Allie, and I’m passionate about exactly three things in this life: Cats, horror movies, and emo kid glow-ups. And tonight on the 2019 Grammys red carpet, I witnessed the single most important, most breath-taking, most…I guess you could say it was MORE than I bargained for, emo kid glow-up of all time. A Fire Alarm Went Off In Notre Dame Cathedral. 23 Minutes Later The Fire Was Found.